The nation’s leading Managed Print Services (MPS) company for health care announced today that it has retained MZ Group as its investor relations adviser. MZ Group will assist CynergisTek with designing and executing a comprehensive investor relations program, with an emphasis on investor outreach and public brand awareness, particularly in North America. CynergisTek is the leading provider of Managed Print Services for Healthcare. A true Management Services company, our focus is to provide turnkey managed print services to our Healthcare clients through situational analysis, strategy development and implementation. We help health systems streamline and align processes and infrastructure to create manageable, dependable print management programs that reduce cost, increase employee productivity and meet and exceed our customers’ patient care standards. Founded in 2004, CynergisTek serves a national portfolio of over 100 health care facilities and manages over 1.6 billion documents annually from over 50,000 devices supporting over 250,000 caregivers. Our business model is vendor neutral and provides full-time, on-site customer service and technical experts at all locations. 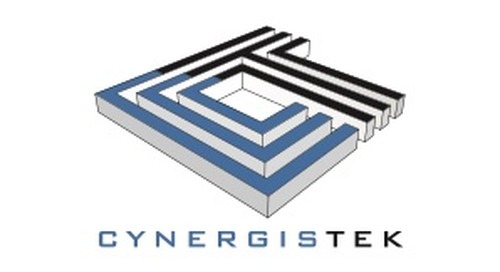 For more information about CynergisTek, visit https://cynergistek.com. MZ Group, subsidiary of @titude Global, a multinational company and the world’s largest independent global investor relations consulting firm, provides investor relations, corporate communications, market intelligence, corporate governance and technology products and services. Founded in 1999, MZ Group focuses on innovation and personalized services, supported by its exclusive “one-stop-shop” business model. With offices in São Paulo, New York, Chicago, San Diego, Austin, Vancouver, Beijing, Taipei, Sydney and Mumbai, MZ has approximately 350 professionals who serve over 580 clients in 12 countries. For more information, please visit www.mzgroup.com.